If it cannot be carried, try rolling it along. The Aged to Perfection Ready Roll figure displays just that. 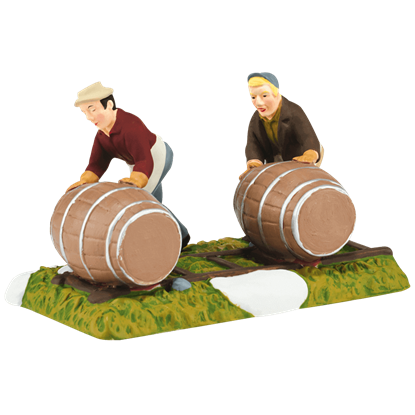 Part of the New England Village collection by Department 56, this statue shows two men rolling along two large wooden barrels. Calico Quilts, a decorative statue from the New England Village collection by Department 56, depicts a charming quilt shop in a mint green color. Snow sits atop the roof while delicately detailed quilts decorate the front porches. 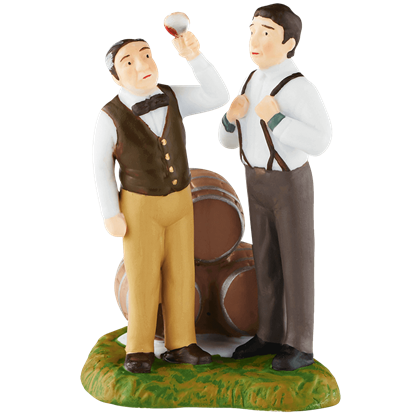 Dressed in charming, dapper fashion, the two brewmeisters inspect their product in the Checking for Color figure, part of the New England Village collection by Department 56. 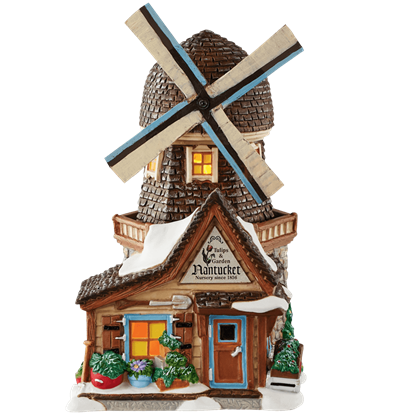 This porcelain village accessory is hand painted with care. With lantern in hand, the group of cheery singers is joined by collie as they spread happy holiday music throughout the New England village. 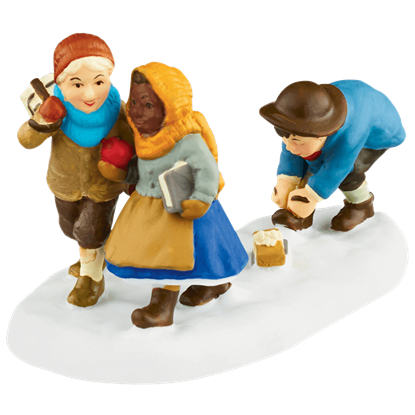 The Joyful Carols figure provides plenty of character to your colonial town. A boy and a girl join forces to create a new friend - a snowman! He has a corncob pipe, a carrot nose, a cooking pot for a hat, a red scarf, and sticks for arms. 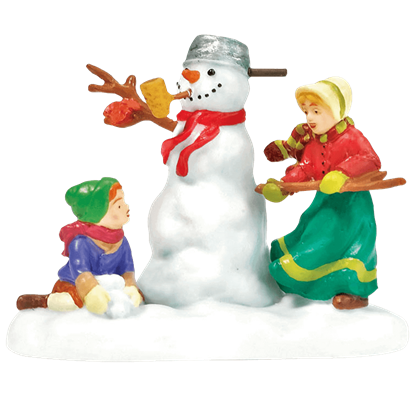 The Making Friends figure reimagines an iconic winter activity. The New England region remains well-known for its trees and Maple syrup. 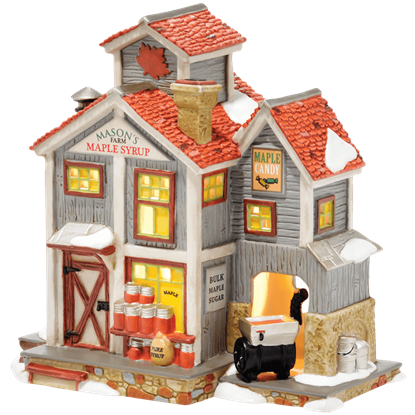 The Masons Maple Syrup farmhouse showcases the different stages of production from cooking down the sap to canning the finished product in mason jars. The master quilter proudly shows off her latest work, a white quilt patterned with green and red, to a fellow enthusiast. 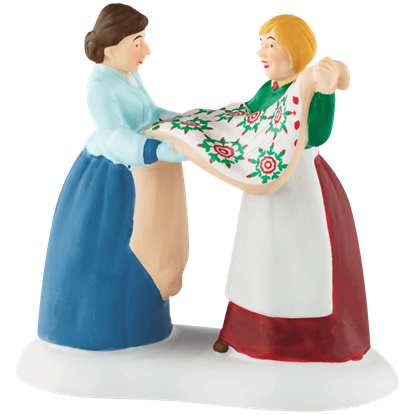 Made of porcelain, the Ms. Quilt Town figure is a part of the New England Village collection by Department 56. Once a windmill, this charming building is now a garden supply store. 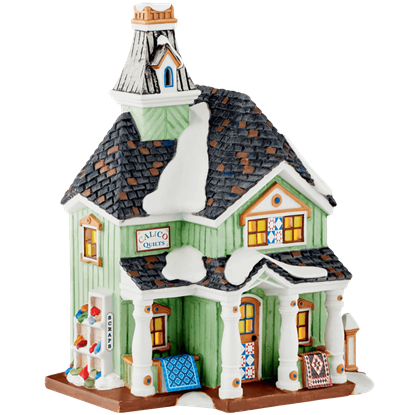 The Nantucket Tulips and Garden statue, part of the New England Village collection by Department 56, displays this delightful shop with incredible detail. 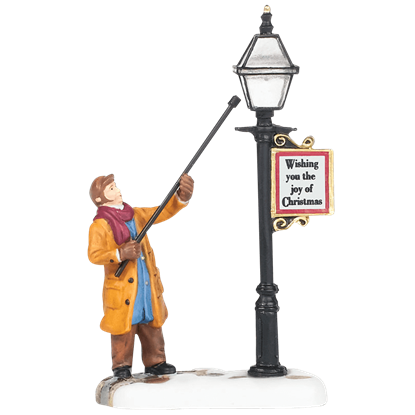 A tradition in many small New England towns, a lamplighter like this New England Lamplighter figure makes his way through town each evening, lighting the street lamps with his pole and calling out news to the townspeople. 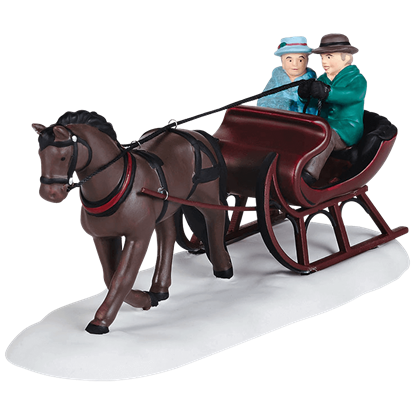 Christmastime is approaching, and this couple is bundled up and out for a ride in their one-horse open sleigh. 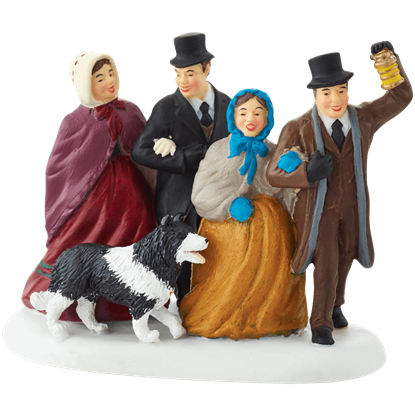 The New England Sleigh Ride figurine cuts a dashing figure, creating a charming vision of wintertime bliss. Nothing stirs the holiday spirit quite like seeing a finely decorated Christmas tree on display! 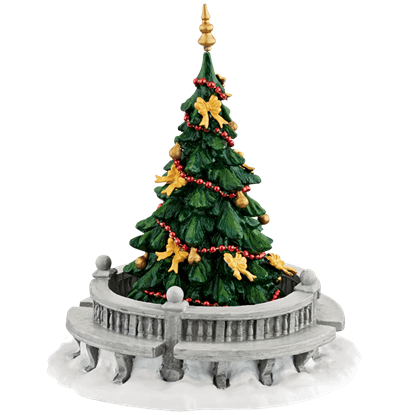 The New England Town Tree makes a festive tribute to the holiday season, appearing in the center of a ring of snowy benches. These three students make their way to class, creating a game out of a mundane task! The One Two Buckle My Shoe figure displays the trio, bundled up in their winter clothing, as one ducks down to fix the fastening of a shoe.